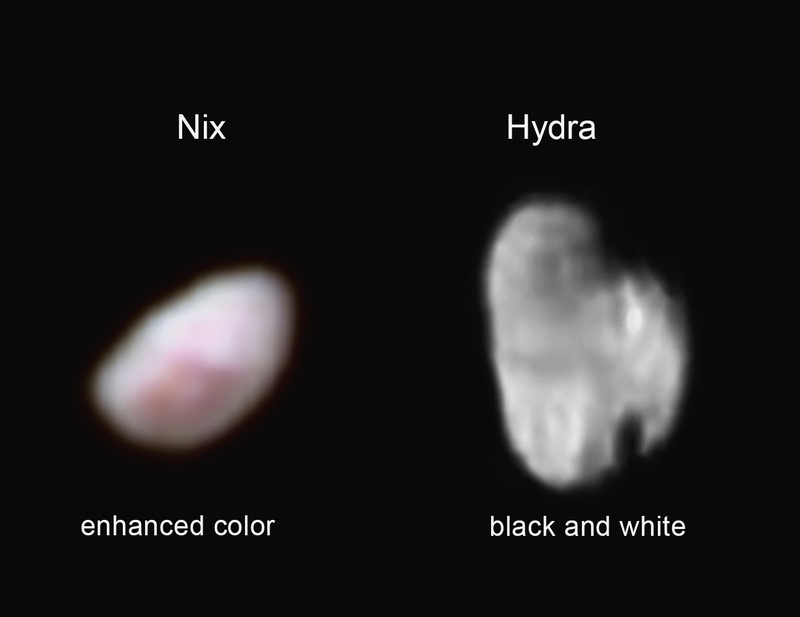 This enhanced colour mosaic combines some of the sharpest views of Pluto that NASA’s New Horizons spacecraft obtained during its 14 July flyby, revealing features smaller than half a city block on the dwarf planet’s surface. 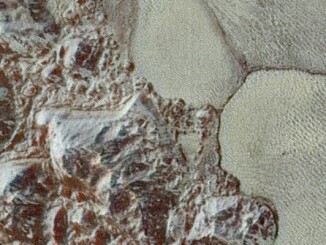 The wide variety of cratered, mountainous and glacial terrains seen here gives scientists and the public alike a breathtaking, super-high-resolution colour window into Pluto’s geology. 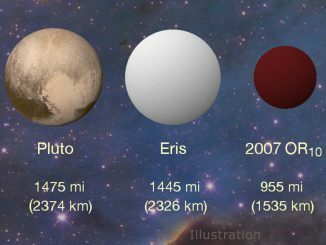 By combining data from two space observatories, astronomers have revealed something surprising: a 955-mile-wide dwarf planet named 2007 OR10 is significantly larger than previously thought. 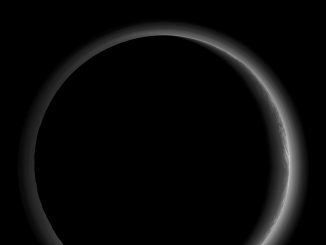 Although its 547-year-long elliptical orbit brings it nearly as close to the Sun as Neptune, 2007 OR10 is currently twice as far from the Sun as Pluto.